Now taking applications for Child Care Teacher at Millersville Child Development Center. School is divided into classes by age groups. Each class will have a lead teacher and an assistant teacher. Supervised Free Play in Activity Centers: art, block, book, housekeeping, music and science center. 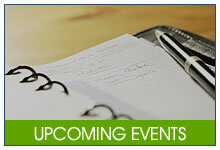 We look forward to establishing a positive relationship with you, your family and child. It is our goal to share the Good News of God's love in a warm, caring, and loving environment at a cost you can afford; a place where your child is loved, can learn about God's love and God's world, a place where we seek to afford you the peace of mind of knowing that your child is cared for properly and that he will develop at his own speed in a Christian atmosphere. We take a great deal of pride in the quality of our staff. The Center's staff members are selected not only for their education and work experience, but also for their personal qualities of warmth, empathy and the ability to relate positively to others. Please feel free to visit our Center at any time. We are proud to offer you quality childcare in a loving and caring Christian environment. 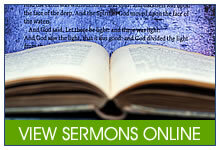 To share the good news of God's love in a warm, caring and loving environment. To help a child develop a healthy personality, form Christian values concerning God, a healthy respect for parents, to value the home and country, develop the conscience, feelings and attitudes which form the foundation for a positive self-image and good relationships. To encourage the child in genuine concern for others, cooperation in work and play through a spirit of sharing. To develop the child's skills in listening, self-discipline, instance creativity and promote thinking. To promote cognitive development through basic academy education, spiritual development through biblical teaching in a Bible type environment. 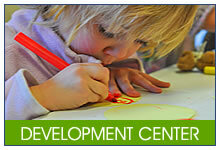 The Millersville Child Development Center has been in operation since 1999. Mrs. Bonnie Canter, MCDC Director, has over 30 years experience in child care. We have a trained staff committed to the spiritual, emotional and physical development of each and every child. 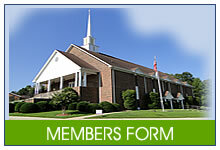 We have the only Bible program in Alexander County. We provide a safe, secure and nurturing environment for ages birth through pre-k. It is a wonderful asset to Millersville. The Millersville Child Development Center is open on a year-round basis. The program will vary from month to month, according to the season and holidays. We will be stressing that God loves us and has made each of us very special. We will be focusing on family, home, Bible Stories, friends, good manners, respect and love for others and our country. With God at our center and parents as our partners, we will nurture the total child; emotionally, physically and spiritually.